Two juvenile suspects were taken into custody after police were able to identify them with a cell phone picture provided by the victim. 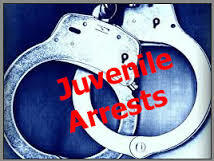 Shortly after 11 p.m. on Sunday, July 30 Elk Grove Police responded to a disturbance on the 8800 Silverberry Avenue on the city's north side involving three juveniles, one of whom brandished a knife. Upon arrival, officers were told that the two 15-year old male suspect tried to take a cell phone from from the victim who took a picture of the suspects. When the suspects were unable to take the phone, the victim was pushed to the ground, and they fled on foot. The victim was able to share the photos with responding officers who recognized the suspects. Officers located and detained both suspects at a nearby residence. The suspects were positively identified by the victim and taken into custody then transported to juvenile hall and charged with attempted robbery and conspiracy.